Darci McIntyre — What is it about the beach? Last week my husband and I went on a much needed vacation. I really needed to get away and relax. I was spending too much time stressing over publishing my book so we headed south to the Texas coast. I love to travel, I wish I could do it more often. But as much as I like to visit new places, see new things, there is one place that calls me back time and again. What is it about being near the ocean? I can't speak for everyone but for me there is just something about being there that grounds me. Is it the calming sound of the waves crashing on the shore? Is it the beauty of watching the sun rise above the horizon as you take an early morning walk? Is it the chance to breathe and feel small in the world? Yes, it's all those things but so much more. I fell in love with the beach as a child. I loved playing in the sand. I would imagine the sandcastle I would build. With only my hands and the abundance surrounding me, the possibilities were endless. I never managed to build anything note worthy, but the joy was in trying. Although we couldn't afford to take many vacations as a young family, we managed to get in several trips to the coast. I loved being together enjoying the beach. I had permission to spend hours playing in the sand again. We'd end the day hungry and happily exhausted. This last week there were no children in tow, it was just the two of us. But something magical happens when my husband and I go to the beach. We act like children, playing in the water, surfing the waves on our kayak, being silly. Time doesn't matter. We wake when we wake, we eat when we're hungry, we sleep when we're tired. 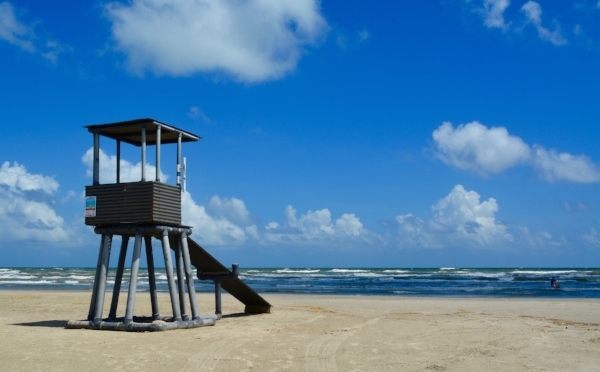 No, it's not the French Riviera, it's not Bora Bora, it's the humble Texas coast. There aren't stunning white sand beaches, the water is more green than blue, but it's exactly what I needed. I needed to be close to the water, to hear the rolling surf, to feel small. Where do you go when you want to reconnect with who and what is most important in your life?